The American Duchess Guide - Previews! 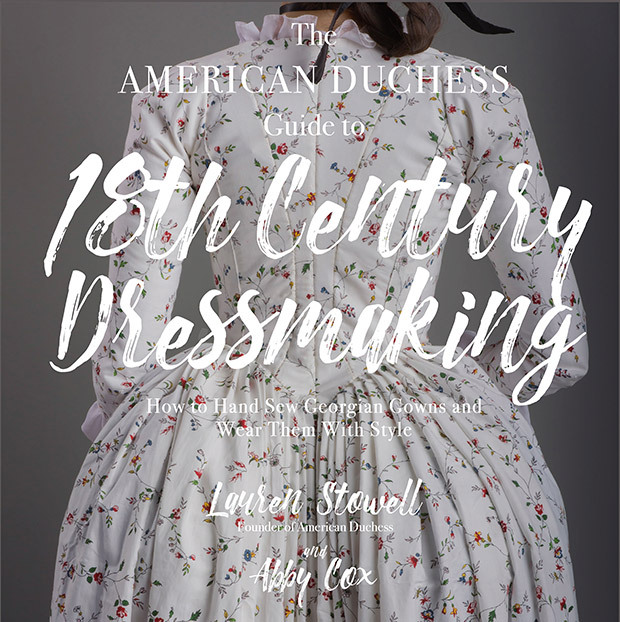 Lovelies, we are so excited to finally be able to give you all a sneak preview and some behind-the-scenes info on our upcoming book, The American Duchess Guide to 18th Century Dressmaking. We want to thank everyone for supporting our effort so far - thanks to you, The American Duchess Guide has reached #1 Bestseller on Amazon in the "Sewing" category. Woohoo!! 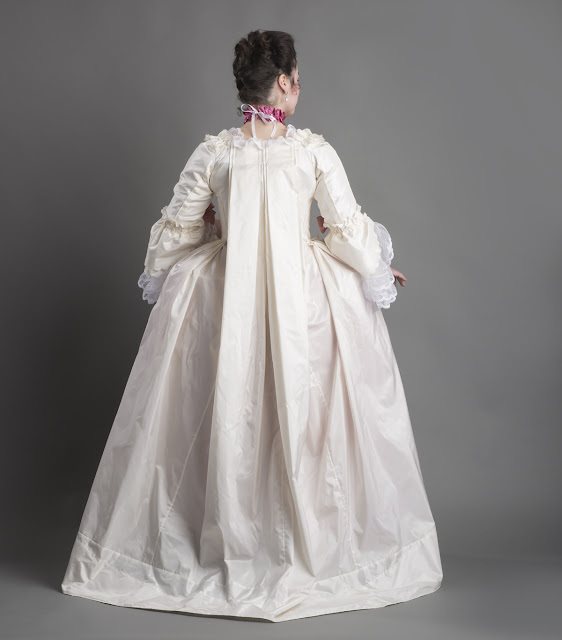 This video is the first in a series of "chats" about the book - motivation, inspiration, intention, and later on some more in-depth info about each of the gowns we chose and how the projects went. The book is currently available to pre-order on Amazon, Barnes & Noble, and other major booksellers. It's available through Amazon in Europe, Australia, Canada, and other countries, so you don't need to purchase from the USA. Make this gown, step-by step! We *will* be selling signed copies on AmericanDuchess.com on November 21st, if you'd like your book to have a bit of Lauren&Abby chicken-scratch on the opening pages. ;-) We will also be attending events and book signings but we don't have settled dates on any of those yet. We'll keep you posted! I have mine on pre-order too. So excited to explore new costume opportunities. Well this is exciting! Just pre-ordered a copy, can't wait!! Can't wait for my copy to come in November! Incidentally, have you seen that there's a kickstarter campaign for a Miss Fisher movie? I wash just wondering if the book will include any patterns for stays/undergarments, or if I should start that on my own? Would your 8162 simplicity pattern work with these gowns? Or do you recommend another pattern? Hi Julie - Yay! To answer your questions, no the book does not have information on stays or shifts but we DO include patterns and instructions for an underpetticoat, side hoops, a split bum pad, and a 1790s petticoat with small back pad. You can use any stay pattern you like. 8162 will work or you will have another option in December 2017 from Simplicity for earlier stays, shift, and side hoops.